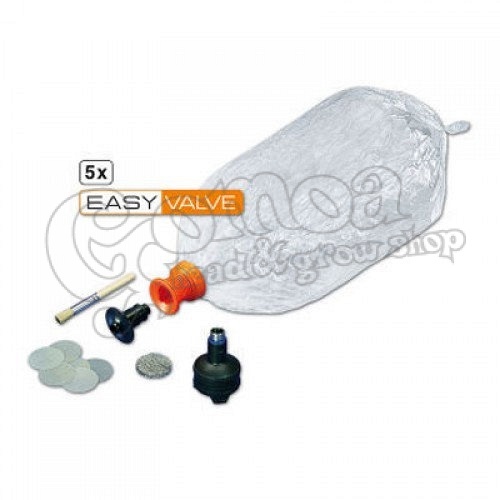 This Valve Set includes the new Easy Valve Filling Chamber, new Easy Valve screen set with liquid pad and 5 new Easy Valve Bags. 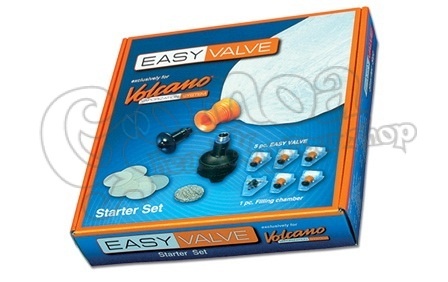 The Easy Valve set is a newly designed valve from Storz & Bickel, the manufacturers of the Volcano Vaporizers. The valve balloon and mouthpiece are connected together already - making for easy assembly and keeping it maintenance free, as well as having an optimized filling chamber diameter. The Easy Valve Set removes the bulky solid valve from being attached to the vapor balloon, leaving only the balloon and mouthpiece - creating a much lighter balloon assembly that will not break if tossed around. This is a genuine Volcano product.